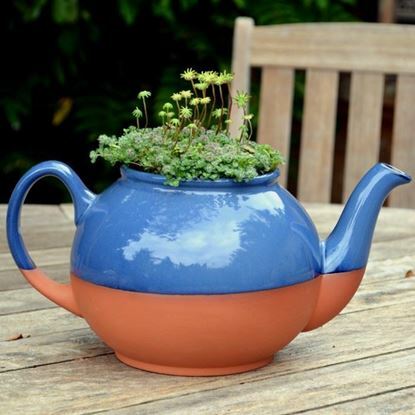 Here's one for the pot! 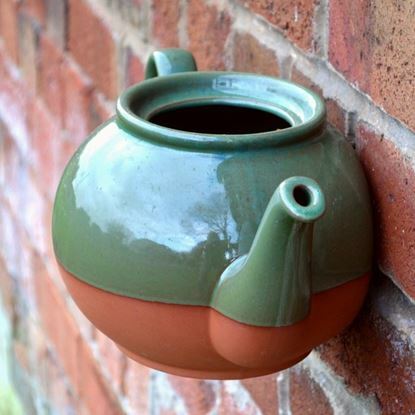 Looks like a teapot - but we've replaced the lid with a drainage hole & turned ours into a planter. 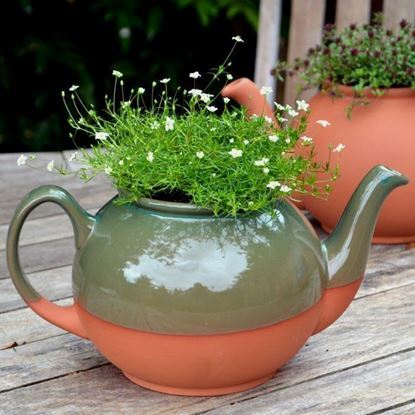 Ideal for a variety of bedding plants or substitute with herbs for that herbal tea alternative. 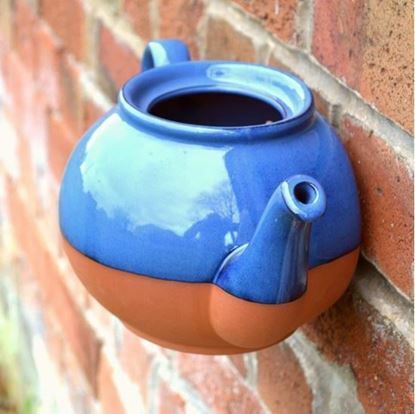 Teapot planter pictured is the large size.